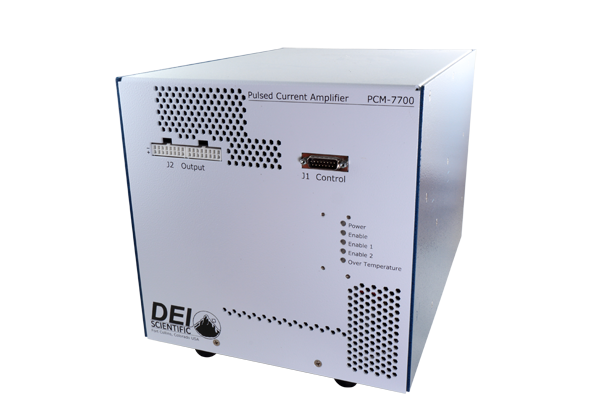 The PCM-7700 is an air-cooled, high-power pulsed current source designed to drive laser diodes, bars, and arrays. The output current can be set from 5 A to 200 A. The load voltage for the PCM-7700-48 is 0 V to 25 V and is achieved with an internal 48 V power supply. 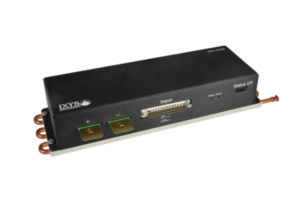 The pulse width is adjustable from 500 µs to 50 ms with a pulse repetition rate from single shot to 1 kHz. 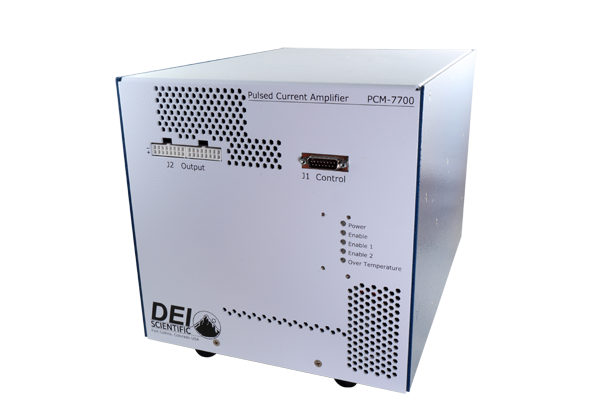 The PCM-7700 is designed to drive laser diodes, bars and arrays with forward voltages up to 30 V (35 V or the PCM-7700-EX model).